eighth largest economy in 2016 (CIA World Factbook, January 12, 2017). exports in 2016 totaled US$137.5 billion and US$ 185.2 billion, respectively. exports of 19.8 percent and 3.1 percent, respectively. 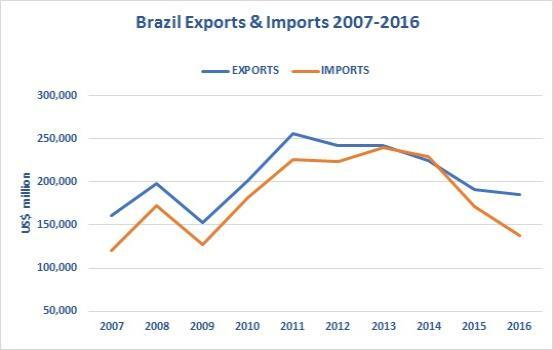 The chart below shows Brazil exports and imports for the period 2007 to 2016. 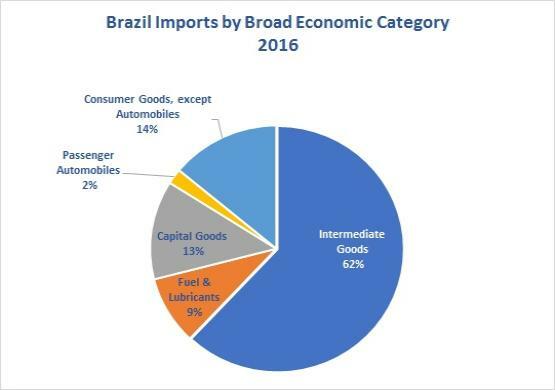 See next page for Brazil's Trading Partners 2016. Imports by broad economic category for the year 2016 are shown in the chart below.